The commonly used term to describe a method of directing people from one destination to another. It can also be the most difficult piece of the puzzle to incorporate into a sign program. 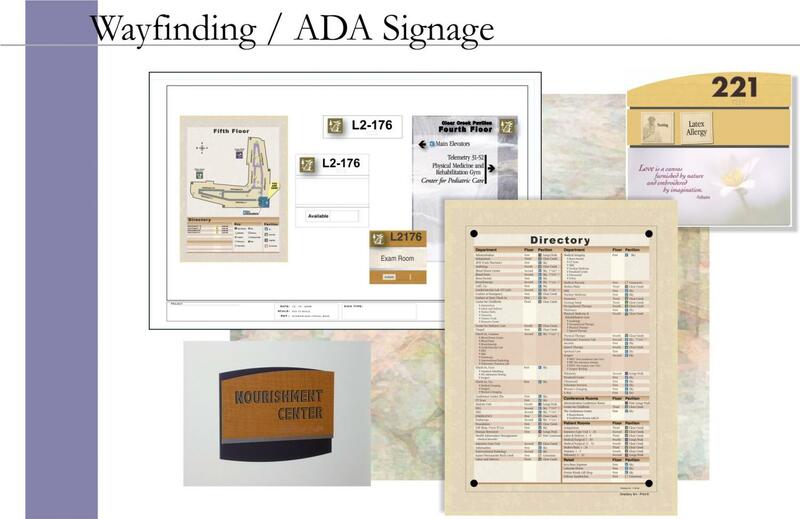 A well designed, efficient and executed wayfinding plan is essential in promoting a pleasant physical healing environment while at the same time achieving a consistent branding identification for the facility. There are many factors involved in the process, but a properly designed and executed program will eliminate confusion, disorientation and frustration, and replace it with a satisfying experience for all. DMR has successfully collaborated on many projects and we look forward to discussing your needs and to taking on your organization's challenges. ADA Compliant signs, which need to follow the most recent federal guidelines, can be produced using many different materials, finishes, colors, styles and shapes. 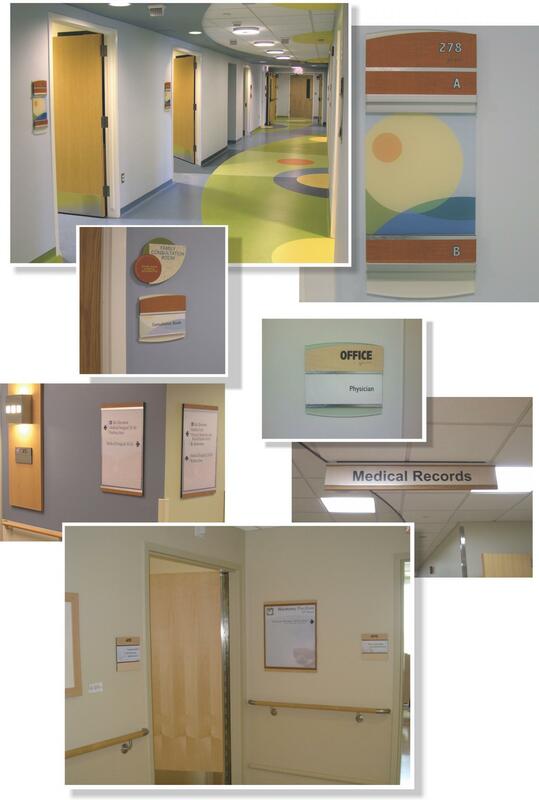 This flexibility allows us to provide signs which will coordinate beautifully with your facilities interior architecture, wall and floor treatments, fixtures and furnishings while meeting code requirements. Customized signs can be supplied at competitive prices without sacrifice of the overall esthetic of the space.